Unlike last season, there has been very few Frankel two-year-olds making an appearance so far. It's quite interesting why this is the case. 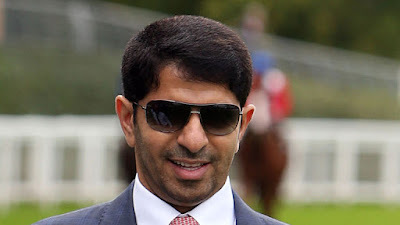 It makes me think that the first season, especially, that his breeding campaign would bring about a steady stream of runners: early, middle and late season. As the formative season was such a success, they may have considered there was little else to prove. However, we are into August and we have seen about three or four juveniles. I am intrigued to see how the rest of the season will pan out. Will we see a huge number of runners in the next four months? No idea. There must be a huge increased at some point because I can't imagine this will be a forgettable year. So have we got any two-year-old Frankels running this week? 4:45 Goodwood - Mehdaayih - trained by John Gosden. This bay daughter of Frankel, out of a mare called Sayyedati Symphony was entered to run the other week but didn't take part. She is pretty fancied in the betting at 9/2. It suggests this April foal has been ready to run for a while and likely to be fit. Gosden may well have been waiting for the right opportunity. This Class 2 race is worth over £15,000. I expect Mehdaayih to go well. Similarly, Dubai Beauty was entered to run last week but has been kept under wraps. This bay daughter of Frankel is out of a mare called Minidress who won on debut for Mamood Al Alzaroooni.